It’s beginning to feel a lot like spring, and CasinoHeroes has a whole lot of amazing offers to share with you this week. Enjoy the CasinoHeroes Spring Carnival Promotion and other amazing offers such as new King Spins which carry no wagering requirements, Free Spins offers, and Deposit offers. Have a look at the offers that are currently available for all players below. If you are just absolutely tired of wagering requirements, then perhaps getting your hands on some King Spins in the Ruby Store might cheer you up! 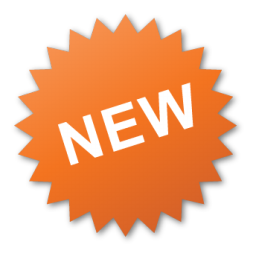 King Spins have been newly introduced to CasinoHeroes and these spins carry ZERO wagering requirements. So what you win is yours to keep. 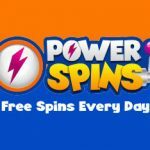 There are three different types of King Spins that you can get: King Spins worth €1 per spin, Super King Spins worth €2 per spin, and Mega King Spins worth €4 per spin. Spring has sprung and CasinoHeroes has prepared some amazing CasinoHeroes Spring Carnival Promotion offers each day from 21 March 2018 until 30 April 2018. Remember to log into your CasinoHeroes account to see the offers on promotion each day. 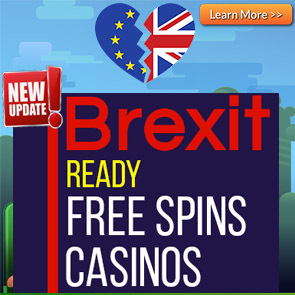 Deposit €10 or more before the 1st of May 2018 (9:59 CEST) and get 20 Free Spins on the Gemix Slot. You will be able to receive your Free Spins in your Treasure Chest by 12:00 CEST on the 1st of May 2018. Deposit a minimum of €50 at CasinoHeroes today to get 60 Free Spins or €25 to get 25 Free Spins on Baker’s Treat. This offer is valid once per day. Deposit a minimum of €50 at CasinoHeroes today to get 60 Free Spins on Joker Strike, or €25 to get 25 Free Spins. This offer is valid once per day. Deposit a minimum of €50 at CasinoHeroes today to get 60 Free Spins, or €25 to get 25 Free Spins on Asgardian Stones. This offer is valid once per day. Deposit €50 at CasinoHeroes to get a whopping 80 Free Spins, or €25 to get 30 Free Spins over the weekend. All players that make a deposit over the weekend (between 28th – 29th of April) get 50 Rubies on the 1st of May 2018. Not yet a member at CasinoHeroes? Join CasinoHeroes as a new player and receive a Welcome Bonus with Free Spins or a Free Spins Package. Click here to see more details about Welcome bonus offers that are country-specific. 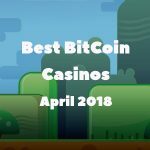 Best BitCoin Casinos April 2018 – our top choices for the month are out! 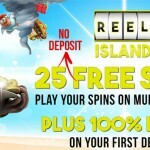 Reel Island Casino No Deposit Free Spins now LIVE! 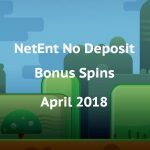 Get 25 Free Spins NO DEPOSIT NEEDED on ANY NetEnt Slot you want! Posted in Casino Heroes and tagged April 2018 offers, April 2018 promotions.